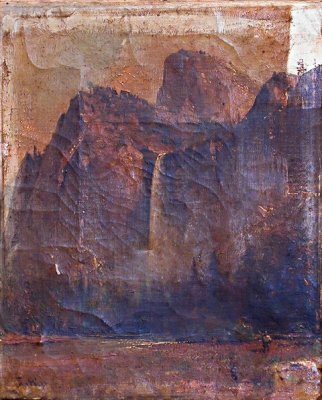 An immigrant from England, Thomas Hill became one of America's most famous landscape painters. 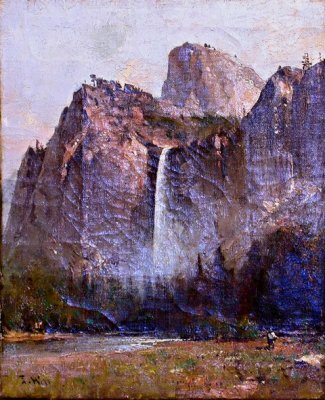 He was noted for his panoramic paintings of the Sierra Nevada Mountains, Yosemite, the Grand Canyon, and Yellowstone National Park. Although he was popular in the late 19th century, this gave way to the shift to Modernism. 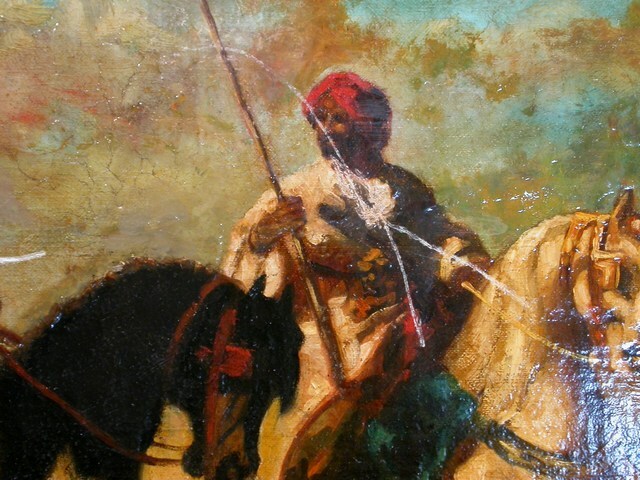 He was rediscovered in the latter half of the 20th century and his paintings still command high prices. 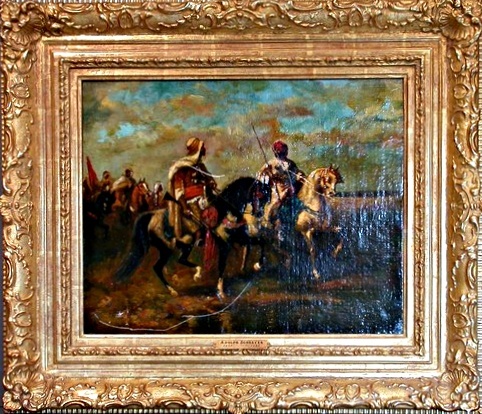 The painting above is an inferior fake with a forged signature. 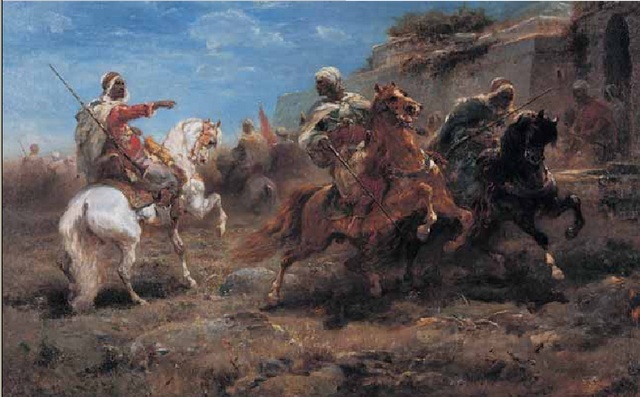 Adolphe Schreyer is esteemed as a painter of horses, peasant life, and battle scenes. 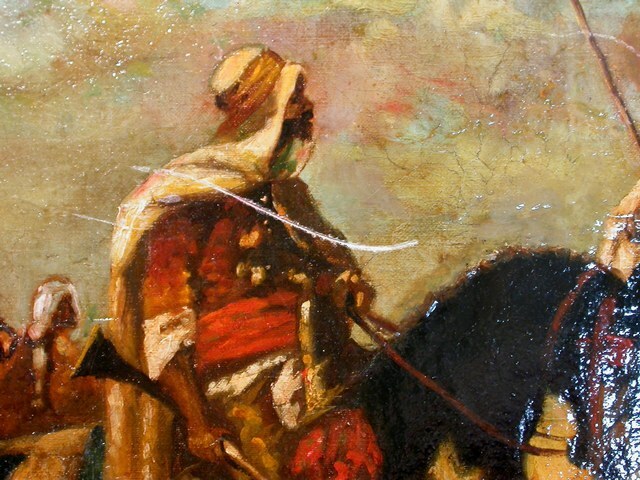 He is also noted for his paintings of Arabs on horseback and his minute attention to detail. I was approached by a scoundrel who worked as a middle man for an insurance company. He would sell items that the insurance company acquired after they paid clients for damaged possessions. This painting fell from a mantle and was badly scratched. The insurance company paid out $25,000 and wanted to recoup the loss. The painting is clearly a fake and has been massively restored. The sky and dark horse was over painted sky to conceal a long tear. 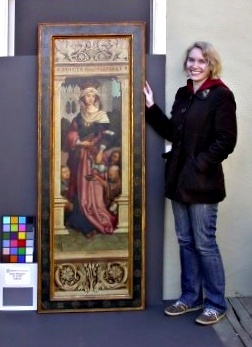 The restorer's skill is sophomoric when compared to authentic Schreyer paintings. 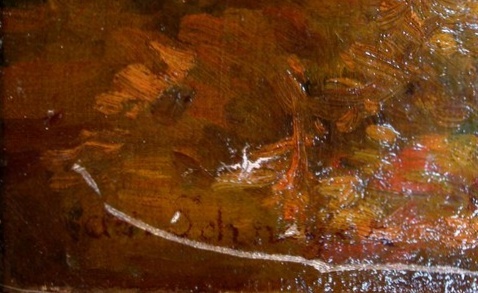 Also, the signature was added at a later time and is visible as a "floating signature" on top of the restorer's varnish. Compare the excellent technique of a true Schreyer's rendering of the horse's musculature and the drapery of the riding figures to the looser style with less detail by the restorer. The signature "floats" on top of the restorer's varnish when inspected under UV light. The sky and dark horse has been massively over painted. Family heirlooms often come with family lore. This painting was reported to be an original Renaissance painting of considerable value. Actually, it is a excellent 19th century copy of the right hand panel from the Triptych of St. Sebastian depicting St. Elizabeth (1207 - 1231) who tended to the lepers in Hungary. The original was painted by Hans Holbein the Elder in 1516 and resides in the Alte Pinakothek in Munich, Germany.